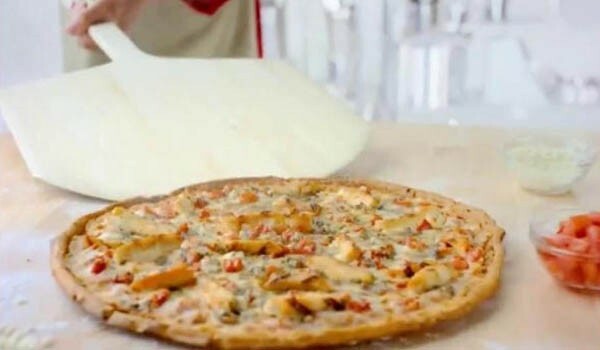 Papa John’s has just launched a new pizza to their specialty menu: Grilled Chicken Margherita. 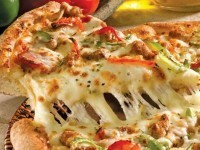 The pizza has pizza sauce with mozzarella cheese, basil pesto and grilled chicken and Roma tomatoes all on a thin crust. 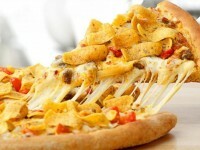 The pizza is available at a promo price of $12 (that can be reduced with online coupon codes). Furthermore, Papa Johns is also introducing Bruschetta Cheesesticks. The Cheesesticks are similar to the new pizza, with mozzarella, basil pesto, and tomatoes on crust and cut into sticks with dipping sauce. Both new items from Papa Johns are available through August.